Pledge to be a Table Host! Click logo to purchase tickets or sign up to be a sponsor! CARNIVAL! 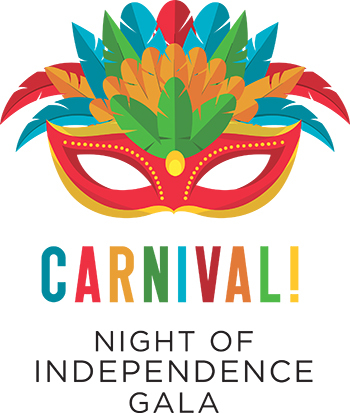 will be an extravaganza of international cuisine, spectacular carnival dancers and performances, a traditional Brazilian band, live and silent auctions and our famous balloon pop. 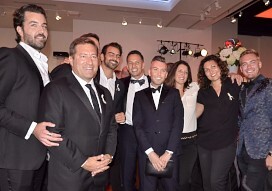 Dress for the event will be black tie with a colorful or creative twist! Each Table Host strives to fill a table of 10 people, creating their own guest list and spending an inspirational evening surrounded with friends and family. You can even Co-Host your table with a friend if you like. It is a great way to guarantee you are sitting with a table full of friends. As a “thank you” for helping to support this event, Table Hosts will be listed our program booklet and night of event signage. ensure that the event will be SOLD OUT and that our annual Gala will be a successful fundraiser for The Whole Person and our mission to connect people with disabilities to the resources they need to lead independent lives. TWP also strives to assemble a diverse group of Table Hosts in order to fully represent all communities in support of independence. We suggest you contact your full list of potential guests in two ways. For example, talk to people personally, and then follow-up with an email or note. Explain to them why you support The Whole Person and invite them to join you in learning more about the organization at this fabulous event. There is no financial commitment to become a Table Host other than purchasing your own ticket (at a discounted rate of $125 per ticket - up to 2 tickets) and we only ask that you will do everything you can to fill your table. Start soon...calendars fill up early! How it Works - Step-by-Step! As Table Host you get a discount rate of $125 for up 2 tickets (for yourself and a guest or Co-Host). Fill your table and submit guest names and contact information by Tuesday September 3, 2019. To be listed in the Gala invitation, submit payment and guest list no later than Friday, July 5, 2019. Download a Take Host Packet below. This packet contains information about the program and a fillable form for you to submit your guest list.